Such a cute card, so beautifully coloured! 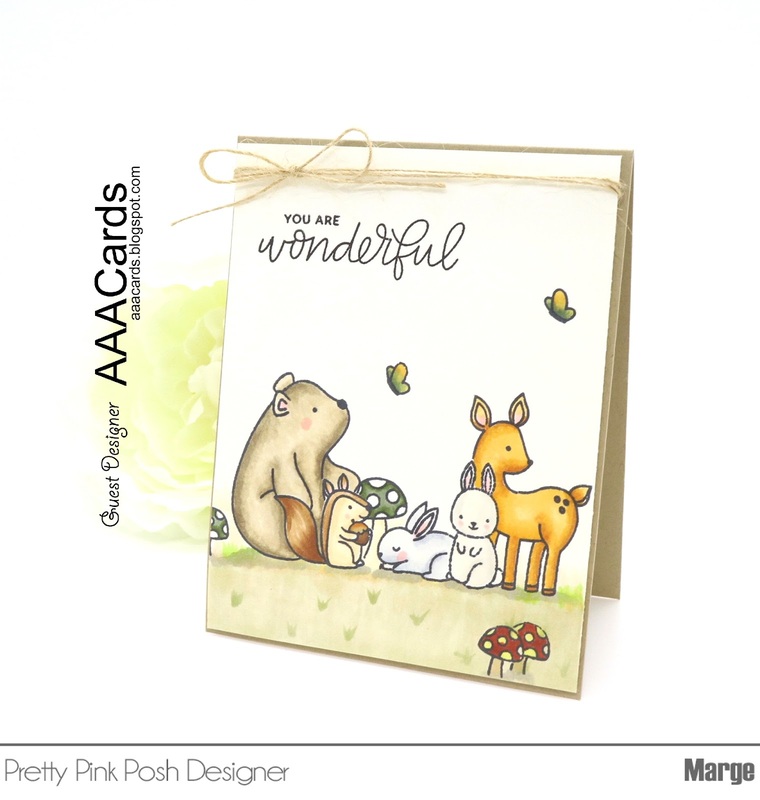 This theme was perfect for you Marge - you create wonderful cute critter cards! 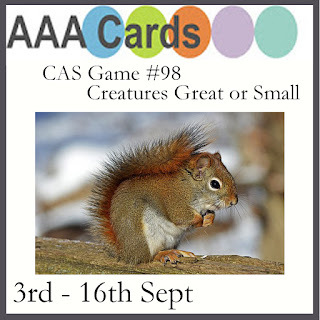 Thanks for joining us as Guest Designer at AAA Cards! Fabulous! Such a super little collection of cute critters and so beuatifully put together. 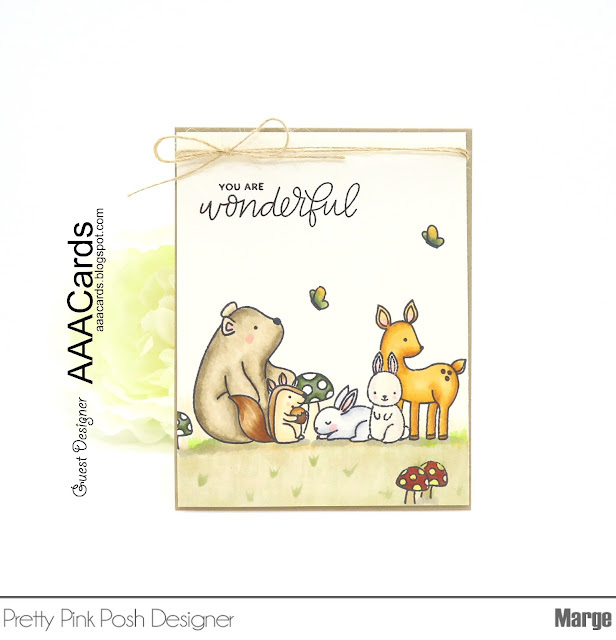 Thanks for being such a great Guest Designer at AAA Cards. Thank you so much for inviting me, Jane! I appreciate your lovely comment, too. Thank you so much, Tracie ! Your warm welcome makes me smile. It's my honor to be with you. This is such an adorable card! I just love these critters. We are tickled to have you join us as a guest designer over at AAA Cards! I just love these little cuties! 게스트 디자인 하시게 된 거 축하드려요!!! 솔향님께 딱 맞는 주제네요!!! 너무 귀여운 카드에요!!! 인스타에서 찾을 수가 없던데 구좌를 새로 만드시나요? Adorable card, Marge.Wonderful masking and beautiful colouring.